Find out Friday — Is now a good time to try to see the bighorn sheep? Yes, you can see North Dakota bighorn sheep now in the Badlands along the Little Missouri River. They’re moving and rutting in November and December. The rams are going to be wary and watchful. However, experts tell us the flocks are moving down from the rugged hills and on to the meadows. So, this is a good time. Some people have told us they see them often, but these are the people who live and ranch on the south and east side of the Little Missouri River. Others who live nearby say they’ve never seen them. The experts we talk to say now is the time to see them. Go during the day, stay calm, don’t move suddenly, don’t hide. Take binoculars or high-powered telephone lens for your camera. Bighorn sheep are preyed upon but other animals such as wolves, coyotes, eagles, and hawks that sneak up on them. So, they will be suspect of you if you hide a lot. Instead, wander and graze in the grass like an animal who is preyed upon. Don’t bring dogs, don’t wear loose flapping clothing. Click here to see a couple more images and more information. The trick is to use an Elmer Fudd technique and be “veddy veddy quiet” and still. And it helps to have Bugs Bunny’s luck. Good luck! And if you get a good photograph or two, let us see them! Oh, and click the “share” buttons so your social media contacts will find out now is the time to go looking. 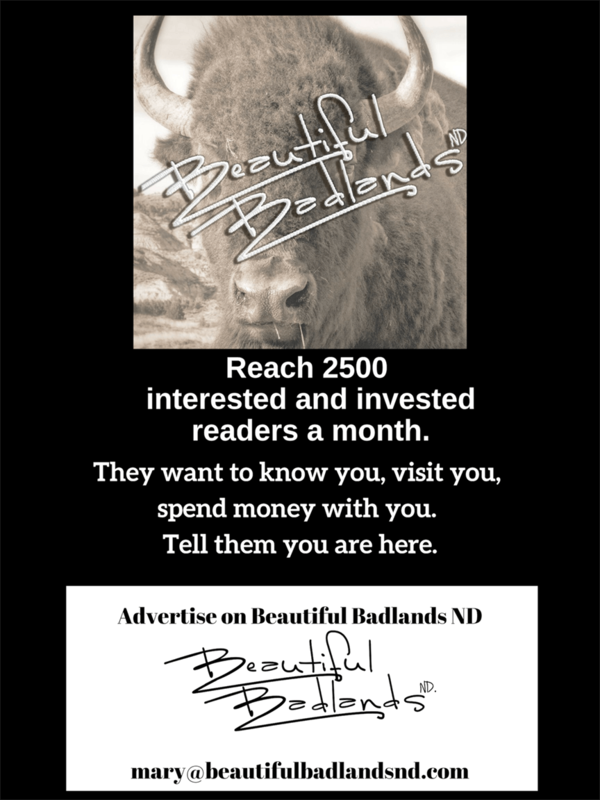 To stay up to speed on the North Dakota Badlands, subscribe above to get a note when a new story is posted.